If you are in Arlington, either Cooper, Center or Mesquite are easy streets to use to come see us. 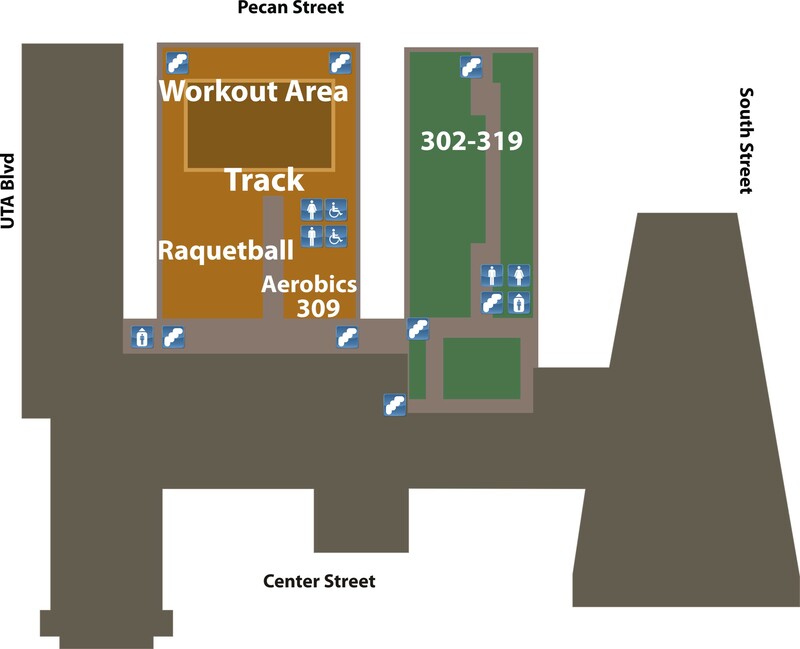 We’re right near UTA and the Levitt Pavilion in downtown Arlington. We are also easily accessible by either I-20 or I-30, so no matter where you come from, it should be easy to find us. We hope you’ll stop by and visit us this Sunday for Worship & Bible study at 9:30 or 11 o’clock! 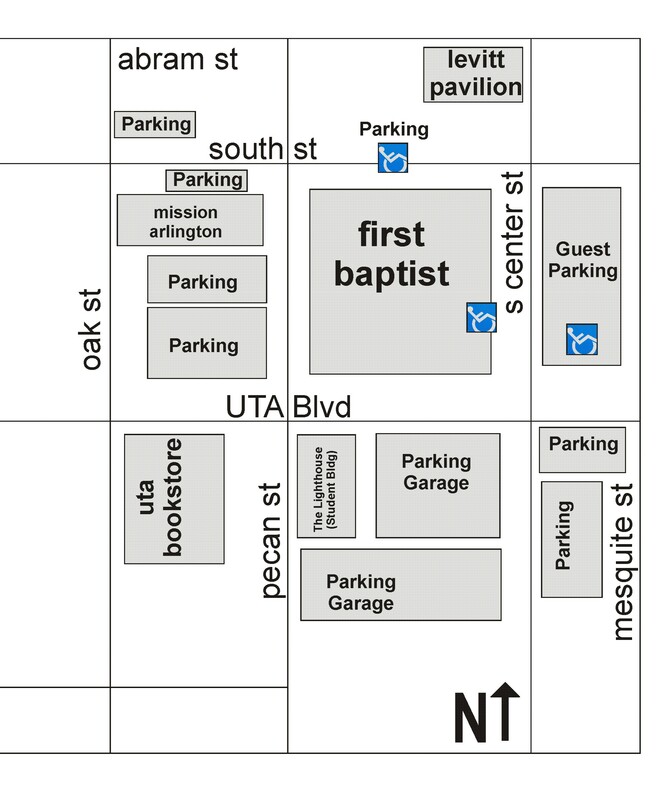 There are several options for parking at First Baptist. If you’re a guest of ours…then we have a spot just for you! 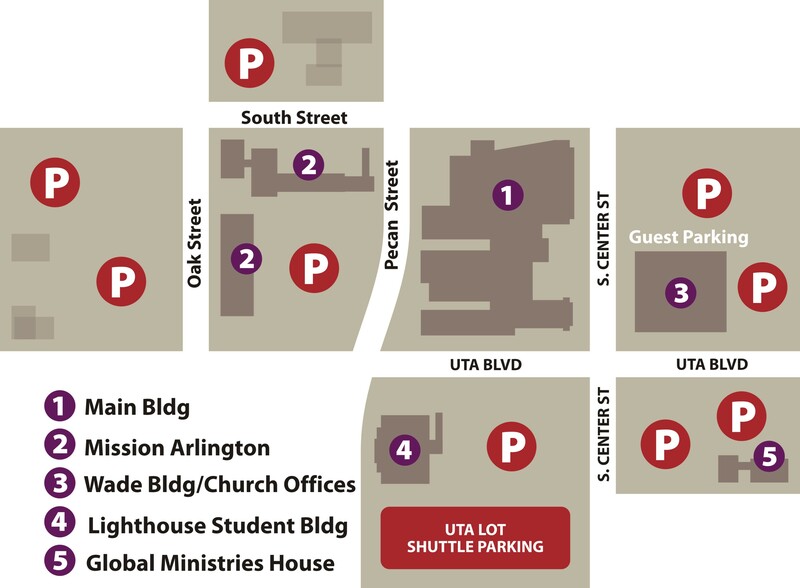 If you park in the main parking lot of the Wade Building (across the street from the Worship Center between Center and Mesquite Streets) you’ll find a front row seat reserved for guests. Once you park, let the policeman help you across the street and enter our building in the Rotunda with the cross on top. 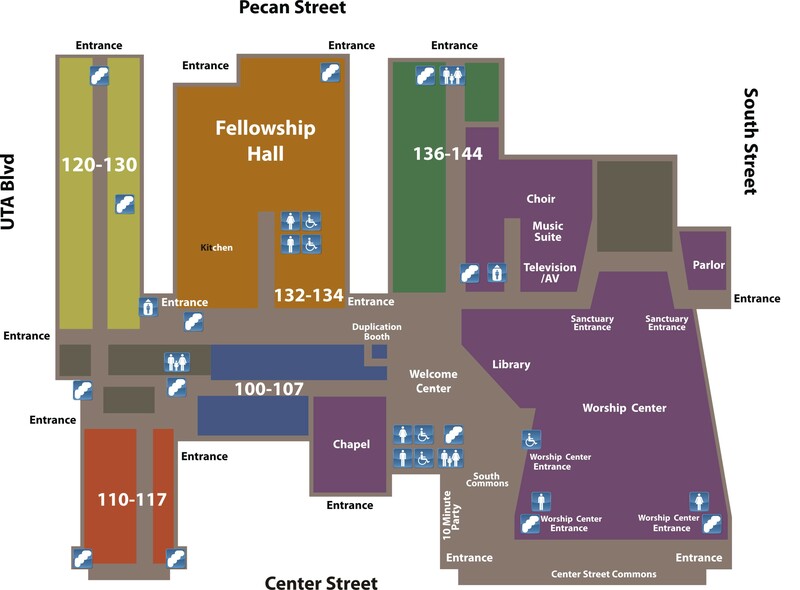 People at the doors can guide you to our greeters who will help you find a place to sit in worship, a Bible study class for you and your family and friends, directions to the nursery to drop off your child or most anything else you need. We also have a an agreement with UTA to use the Parking Garage. There are reserved spots all week long and then even more on Sundays! A free parking permit is required, and you can pick yours up at an Information Desk in the Welcome Center. Just ask anyone to point you the way! Place your sticker in the lower corner of the passenger side of your front windshield.